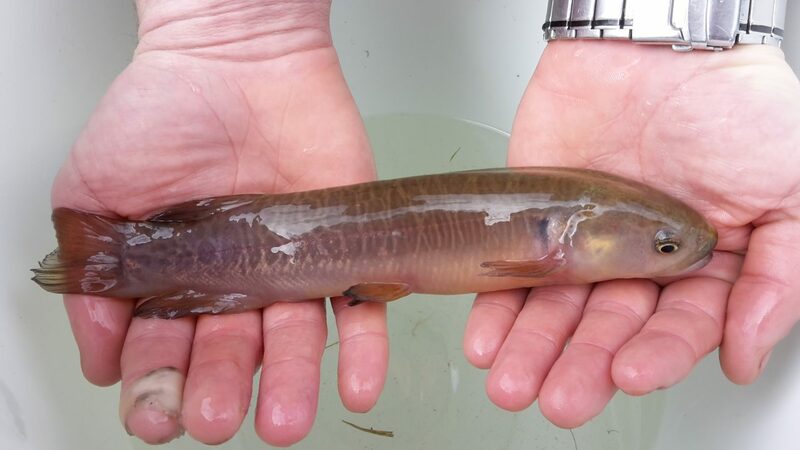 The future of New Zealand’s endemic longfin eel is in serious jeopardy. Three years on, and the commercial harvest of this threatened species is still legal. Around 200 tonnes of longfin eels are exported annually. Most of it goes to countries that have already destroyed their own native eels. Some of the catch gets turned into pet food. MPI recently decided to separate the longfin and shortfin quotas in the South Island, and is currently seeking submissions on what that annual quota should be. This is our chance to speak up for the eels and renew the call for a total moratorium on eel harvesting. Allowing the harvest to continue, even with a reduced quota, is accepting the eventual extinction of longfin eels. Submissions are really easy to make. You just write an email. Keep it short, keep it clear, and stay focused on the topic. Submissions close 5pm Mon 11 July. Make sure your voice counts. 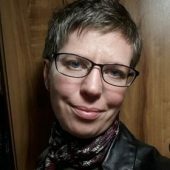 How do I write a submission? Say what you are making a submission on. They are calling for submissions on several quota fisheries at the moment. In this case it is the setting of the quota of longfin eels in the South Island only. Introduce yourself. It doesn’t matter if you are Joe Bloggs from up the road. You are someone who cares about this threatened species. If there is a special reason why you care, briefly explain it. State your opinion, briefly and clearly and give reasons for your opinions. Keep it short and simple. If you ramble on for several pages they may reject your submission. It can be as simple as saying that you support the Parliamentary Commissioner for the Environment’s call for a moratorium on harvesting longfin eels. Or you could talk about how any native species in serious decline and under threat of extinction shouldn’t be harvested at all. Quotas are designed to protect stocks from overfishing by restricting the size of the harvest. Unfortunately, the eel quotas have been set so high that they have rarely been filled – even after they halved the North Island quotas in 2007. If a quota is not filled, then it is having no effect on the fishery. The Ministry of Primary Industries has suggested that the new quota could be as low as zero in some regions, but in other regions it could be set at the average harvest over recent years. Since the quota has been set too high to have any effect, the total catch consists of however many eels the fishers can get their hands on in a year. A quota based on that means that the fishers can keep on fishing as much as they always have. Setting different quotas in different regions will have absolutely no effect on the recovery of the eel population. Eels are really unusual: they breed only once at the end of their very long lives. When they are ready, eels from all over the country migrate far into the Pacific Ocean to spawn in communal spawning grounds. The numbers of elvers coming back to New Zealand is dependent on the number of adults migrating out to spawn from all regions. The juvenile elvers do not ‘home’ to the rivers their parents came from. Thus eels must be considered a single national population. Population increases in one region are too easily cancelled out by continued fishing in another region. The quota includes a minimum and maximum size limit. Usually, size limits allow fish to spawn at least once before they can be caught, and allow the big fish to keep spreading the genes for growing big. Eels spawn only once, right at the end of their lives. It doesn’t matter what size the eel was when it was caught, it will never get to breed. This means that size limits for eels are almost meaningless, and that modelling a sustainable harvest size is impossible. These issues with the quota system aside, MPI believes that the longfin population has stabilised or increased over the last ten years. Given that generation time for longfin eels ranges from three to ten decades, variation over one decade has little meaning. MPI’s belief that the population has stabilised is based on annual catches stabilising. The annual catch consists of the number of tonnes caught per year. This catch data only records the total weight of eels caught within the legal minimum and maximum size limits – thus it can’t show if there are enough undersized elvers in the population to replace the larger eels being harvested. Eel fishers move around the region catching as they go. It is easy to catch most of the eels in a stream over a night or two, so the fishers are leaving behind these depopulated waterways and move on to other sites with more eels. This way, the catch data could remain the same for decades, hiding the fact that the population is gradually dwindling to nothing, since so few eels are escaping to sea to spawn and therefore the number of juveniles is plummeting. Eel fishers rotate the sites they fish, perhaps only visiting each site once every few years. The big eels are the easiest to catch. Removing the big eels means there is more food available for the undersized eels, so these grow quickly and are of harvestable size by the time the eel fisher returns. Over time, this has resulted in harvested eels that are becoming slowly younger and smaller. MPI also claims that, of all South Island habitat suitable for longfin eels, only 27% is fished. Nationally, 50% of habitat suitable for longfin eels is no longer accessible to them due to hydro dams. Most of those dams are in the South Island. There are many other types of barriers that exclude longfins from suitable upstream habitat. Eel fishers won’t bother fishing in places with few eels, and they won’t fish the same place very often because it isn’t worth their time. In light of that, 27% of the suitable longfin habitat being fished sounds alarmingly high. On a pathway to extinction? An investigation into the status and management of the longfin eel – the Parliamentary Commissioner for the Environment’s 2013 report. 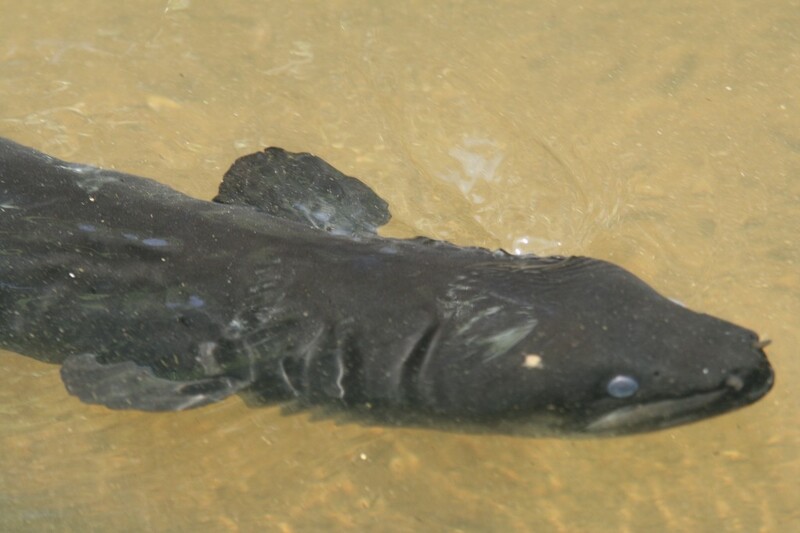 Longfin eels update report – from the Parliamentary Commissioner for the Environment. MPI’s discussion paper about setting the quota for the South Island, Review of Management Controls for the South Island Longfin and Shortfin Eel Fisheries. Stella McQueen is a native fish specialist, author, and field worker. I support the Parliamentary Commissioner for the Environment’s call for a moratorium on harvesting longfin eels. I am disgusted that any native species in serious decline and under threat of extinction shouldn’t be harvested at all. good on you for letting us know!! More sustainable practice and development. wonderful to see these amazing creatures. strange to think that we probably know more about dinosaurs than eels! 🐍 i went to a great talk about them earlier in the year and discovered that they can travel across (wet) land to reach rivers when on migration. ? ?